Guys, Its time for for world to begin to realise the true potential of CBD. Let nature speak for itself.. Has Hempture CBD helped you? I am just writing to add a testimonial to your collection! Our son is 14 years old, severely autistic, non-verbal and he had become very aggressive and unhappy over the last year, in particular. Living with him had become very difficult and trying for all of our family, with daily physical assaults on us for no apparent reason. I decided to try a cbd oil from the US which I sourced in the UK because of some reports online from other parents in a similar situation and the effect on him was remarkable and instantaneous. He was markedly happier, less aggressive and in better control of his outbursts. We were delighted to find an Irish source, and switched him over last week. Although completely non-verbal, he had learned to communicate using a letter board before he became too out of control to use it. His tutor comes from England a couple of times a year and we happened to have a session on Friday so she asked him to tell her about his experience with CBD. He said that he is doing much better, the new oil he is taking (yours!) is very strong, but he likes that about it….the stronger the better (his expression). When he is older he would like to sell CBD oil because it is a way to help people to feel better, he would like to sell it all over the world and his business would be called ‘Herb man’. He would only employ his family but it would be a non-profit because the most important thing in life is helping other people. I don’t think that anyone could understand what it means to us to have found something to make him feel happier and calmer, better about himself and more in control of his emotions and body. We were in despair and now we can see a life ahead that is normal by our standards. My sister was schizophrenic and she committed suicide so I could not bring myself to put him on anti- psychotic medication, our only other option. I knew too much about how it made her feel. We literally had nowhere to turn when we found CBD. I have given your leaflet to our tutor to take back to families in England whose autistic children are on cbd and have problems with supply now due to the re-classification as a medicine. Please accept sincere and heartfelt thanks from us! Sinead Conneely, mother of Caomhan Murphy, delighted customer! Can CBD help for fibromyalgia, fatigue, RLS and IBD… ? Guys, after a long week in negotiation with our suppliers, farmers, legal team and some of our clients we have reorganised our structure in order to improve our product, service and efficiency. Due to this we have now ceased certain products/services and will now focus primarily on reducing the cost of CBD to our end clients who buy directly from our company. We have removed some CBD products and will no longer be providing CBD in bulk/wholesale to the public. Current Hempture stockist will be phased out. Some of our private corporate and institutional contracts will still remain in place. Over the last few months we have been working tirelessly to reduce the cost of Hempture CBD oil. With constant refinement – From the bottle, to the label to the packaging we have managed to bring the cost down significantly and are delighted to announce we have reduced the cost of Hempture 10ml CBD oil by OVER 20% from €44.95 to €34.00. We began our journey into Hemp in 1995 when we were gifted what we now believe to be the first ever sample of CBD in Ireland. 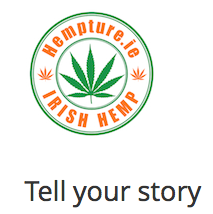 Since then we have built Irelands best know Hemp and CBD brand – Hempture. Our products have been refined and our first step was to introduce new packaging which have really helped bring costs down, our new packaging currently in finally stages of manufacturing, we thank our guys in China who have sourced our new high quality/low cost packaging. In addition we have introduced a new improved bottle which has the dropper built into the top rather than the long glass pipette which sometimes leaked, we have had great feedback so far and will continue to progress and improve. Here at Hempture HQ we truly believe as a human we are all morally entitled to know what enters our body and to judge whether we want to consume it or not. This is why Hempture CBD oil is sent for independent cannabinoid testing to Fundación CANNA which is one of the most advanced and internationally recognised laboratories in the world for HPLC analysis. At Hempture it’s not just our organic CBD extract that make us special, it’s the people who bring it to the masses. Our team are carefully chosen for their approach in this area of expertise, enthusiasm and belief in this true wonder of nature. 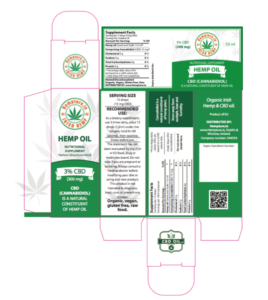 Hempture CBD hemp oil is highly sought after for its naturally occurring high levels of CBD and has been widely received due to its origins in the EU based on its true organic nature. 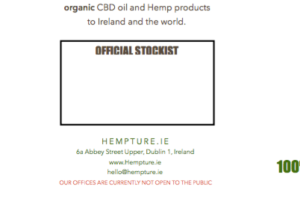 New Irish Hempture CBD Oil Stockist announced. The first 3 official Hempture stockist to make history in Ireland are located in Wicklow, Wexford and Cork, with more to be announced. 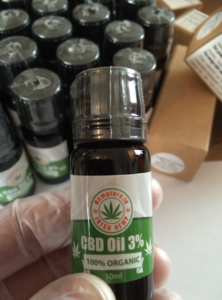 You can now purchase Hempture CBD oil from the following stockist.